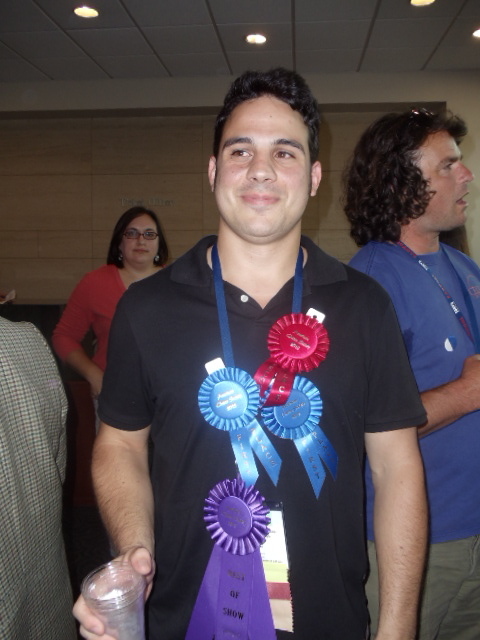 During the judging, I tasted this one and was blown away even though I had no idea who made it (and I assumed it was a Oaxaca). 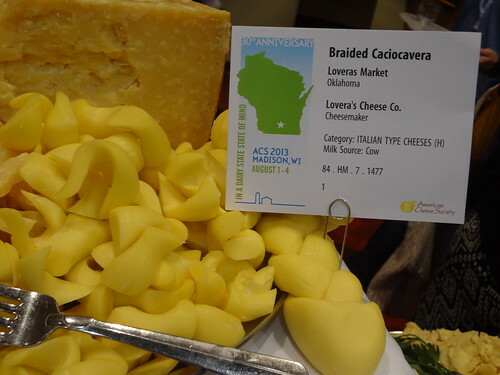 Braided Caciocavera from Loveras Market in Oklahoma? Ok, I see why I didn’t already know it. To make it even more special, I keep reading it as “Lovers Market” which seems extra sweet. 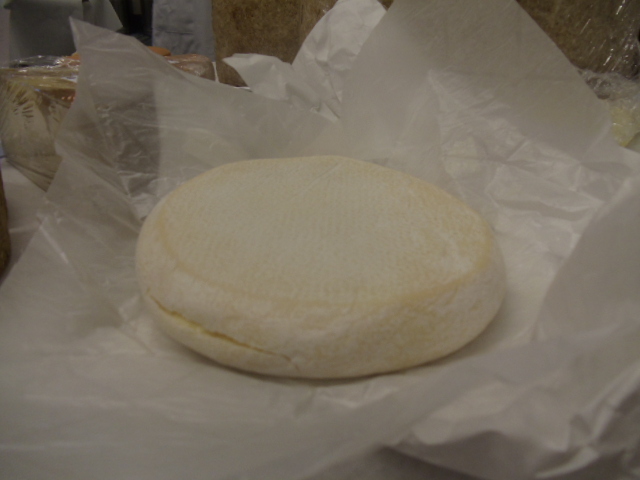 Next, a cheese we already carry and think is awesome, Boonter’s Blue from Pennyroyal Farmstead in Boonville, CA. A mix of sheep and goat milk (though not always) this is the kind of blue I think of as “Basque Style” even though I don’t know if it’s really true. 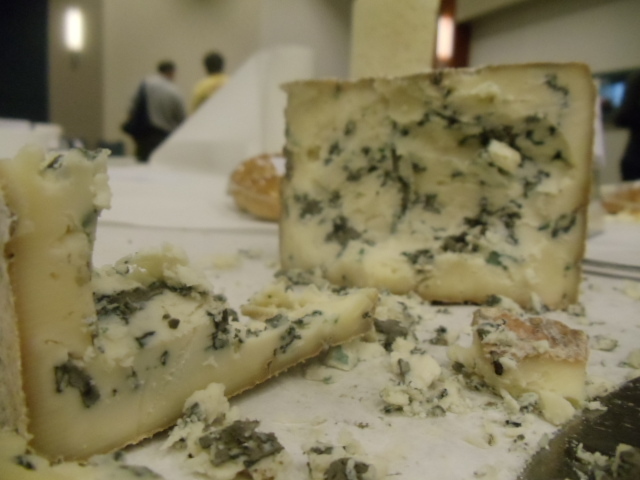 Fudgy, medium-strength blue and you can taste the tang of the goat and nuttiness of the sheep milk. Ten years ago, everyone would have been raving about the Florry’s Truckle from the Milton Creamery in Iowa. 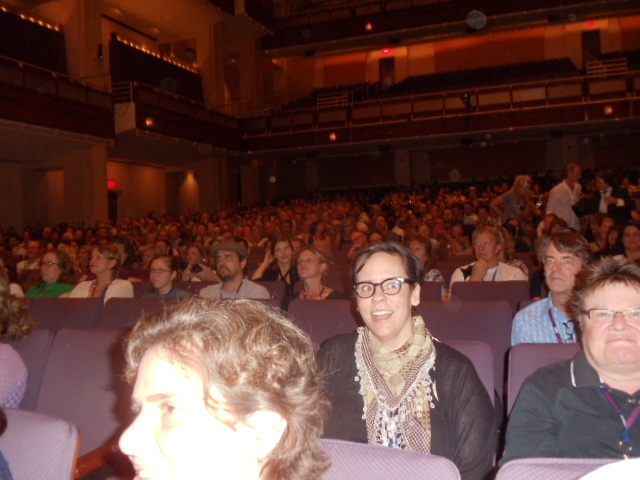 Now – with Jasper Hill, Fiscalini, Beecher’s, Avonlea, etc. 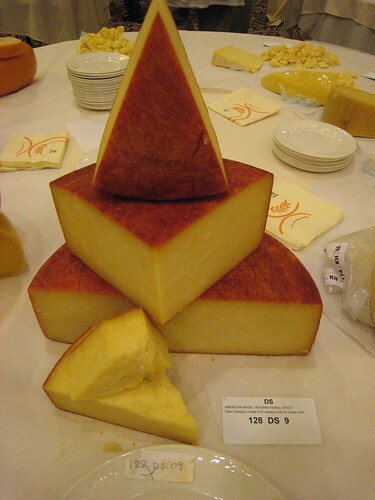 – we expect North Americans to make amazing traditional style Cheddars. 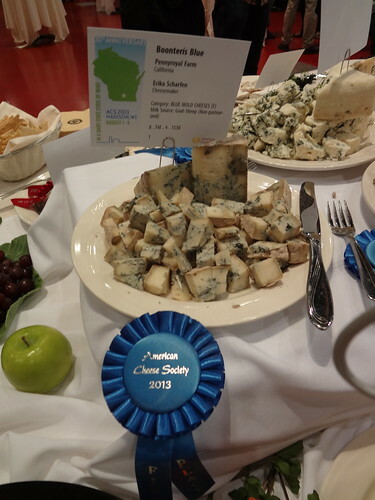 Still this is an awesome cheese from the folks who brought us Prairie Breeze. Speaking of Jasper Hill, the Willoughby (this is a correction from the original post) right now…. Amazing. Rich, pungent, buttery, yeasty. Definitely in the running for Best of Show by my count. 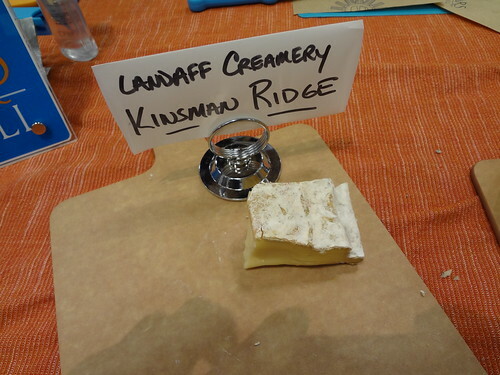 And, made by Landaff Creamery and aged in the Cellars at Jasper Hill, the Kinsman Ridge is also pretty darn good. As you can see by how little is left. And, last year I told you how awesome the Arabella from Jacobs and Brichford was. This year, their Overton blew me away. 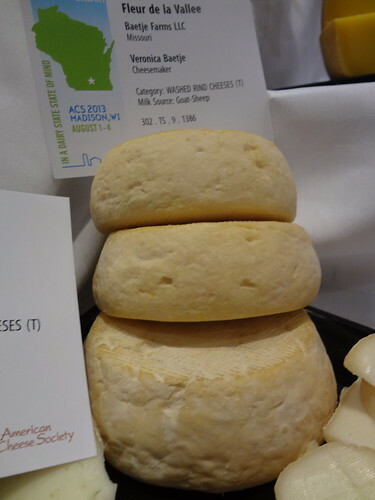 I don’t think I’ve ever had a US cheese that tasted so much like a well-aged Comte. I guess it blew me away so much that I forgot to get a picture so here’s the Arabella again. Also, pretty much everything from Baetje Farms is can’t-miss. I do not think they can make a bad cheese. That’s it for now. 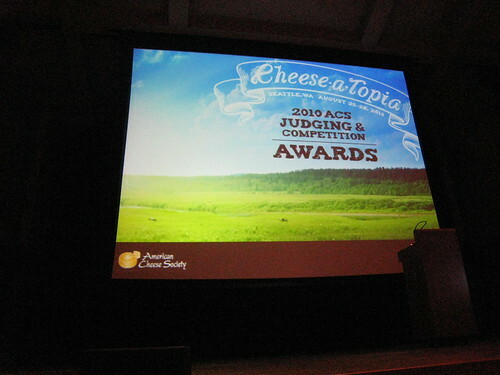 I am still going through my notes, but these are the cheeses that stuck with me, post-conference.By the way, this tag will let you see the cheeses I have written about as my favorites over the years: American Cheese Society Favorites. 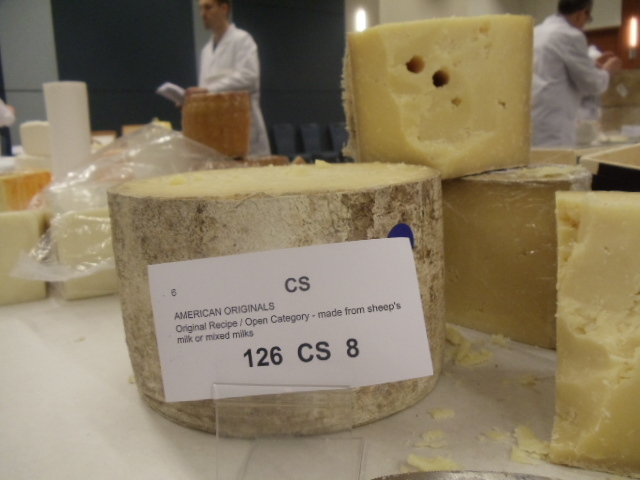 Finally, here’s my last entry on my favorite new (to me*) cheeses at this year’s American Cheese Society Conference. This is one of the things that differentiates me from other food bloggers… I feel no need to be timely. 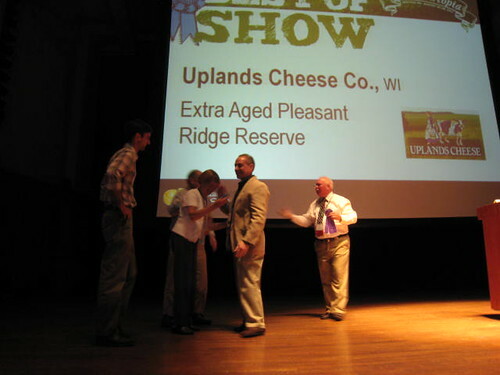 Out of respect for the cheese makers, I probably wouldn’t reveal what cheese I voted for as Best in Show if the cheesemaker for the actual winner hadn’t pulled me aside at the awards ceremony and asked me point blank if I voted for his cheese. 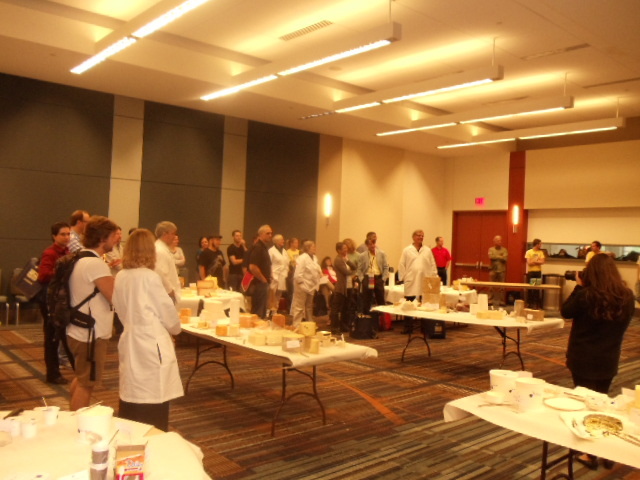 The Best in Show winner: Extra-Aged, Pleasant Ridge Reserve** is an amazing cheese. 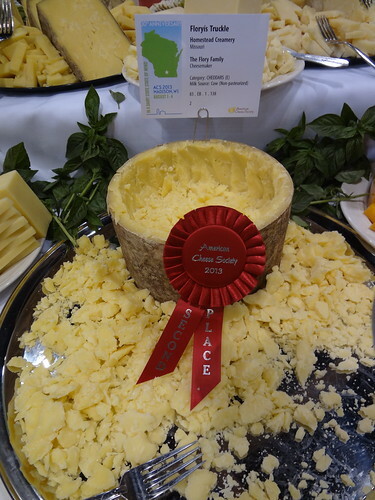 Forage-based, nutty, pungent, grassy, great for cooking, even better for plain ol’ eating, this is the only cheese to win the ACS Best of Show more than once and this is the third time! 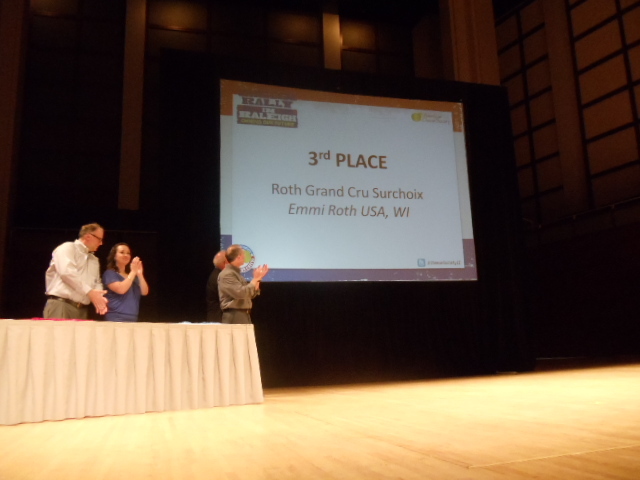 It was especially poignant that these folks won this year because the founders of the company, Mike and Carol Gingrich, announced that they were retiring from the cheese business a week after the conference. 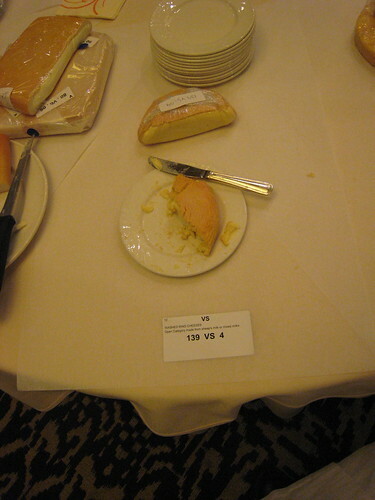 The cheese will carry on in the very capable hands of Andy Hatch, but when I found out that this was the Gingrich’s last conference, I was very glad they won. I also know I was not the only cheese person with tears in his eyes when they walked up through a standing ovation to accept their award. 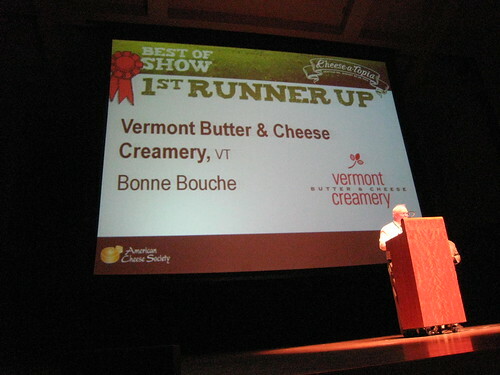 The Vermont Butter and Cheese Creamery Bonne Bouche. 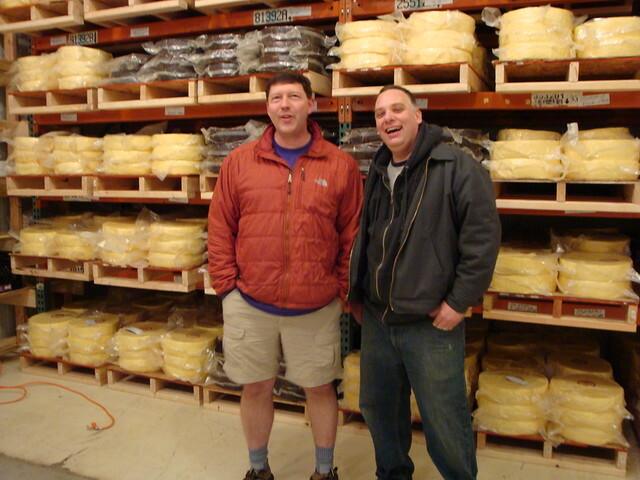 I wrote about this cheese years ago, before it was actually released actually,*** because I happened to be in Vermont when they work working on their final recipe. Since then, this cheese has been perfected. 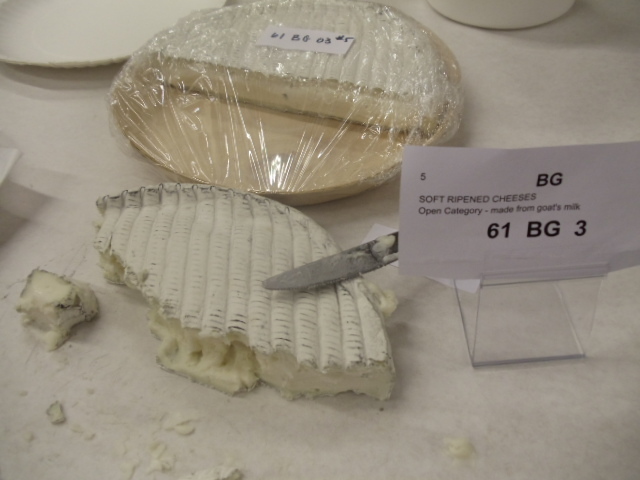 I am not hyping you when I say that the Bonne Bouche I tasted at the judging was the most technically perfect French-style, US-made, cheese I think I have ever tried. Soft-ripened goat milk cheese, covered in ash, creamy, assertive, and complex. It blew me away. I love the Spring Brook Tarentaise**** as well. 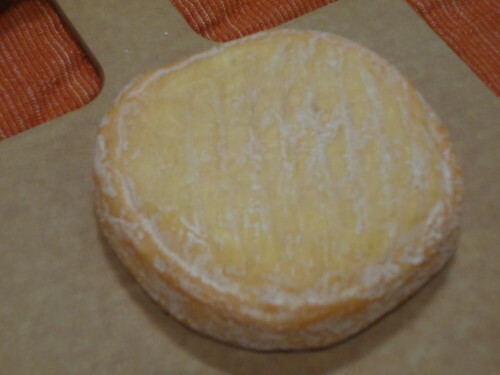 Similar to the Pleasant Ridge, it’s an Alpine-style cheese, but this one is softer but much stronger and more intense. It’s definitely too strong for some, but I love to see a US-made cheese riding that side of the line. I had the previously mentioned Caldwell Crik Chevrette in my top 3 instead of this one, but the Tarentaise was right in there. I had a plate of my final 6 cheeses and it was a very tough decision. 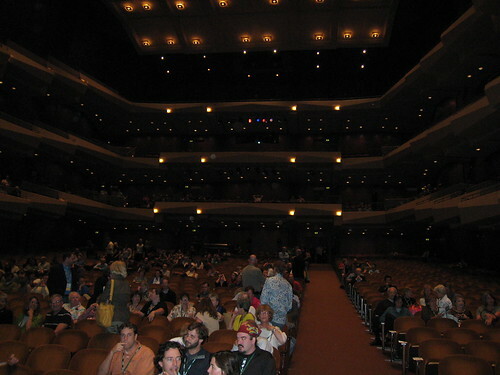 By the way, check out the hall where the awards ceremony was held this year! I wish I had taken a picture when it was full! **reservations aside about the confusing near-redundancy of naming something “extra-aged” and “reserve”. *** Here’s it is in the back of our rental car! 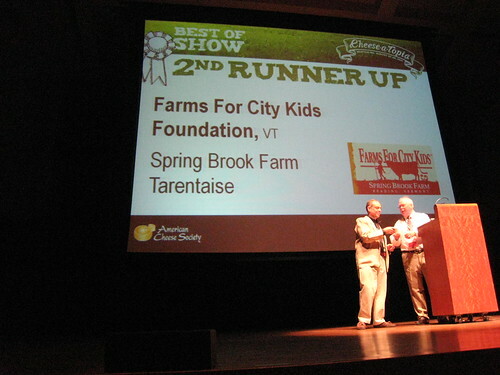 ****Most folks in California have only tasted the organic milk Thistle Hill Tarentaise (also from Vermont) which does not have as intense a washed-rind and which is not aged as long as the Spring Brook. 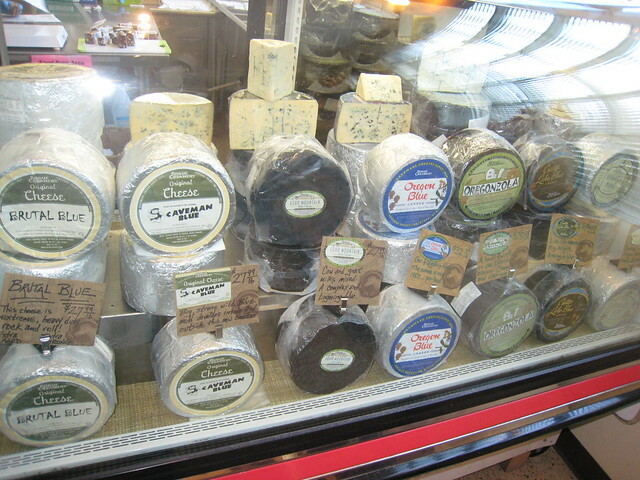 They have very similar recipes but are very different cheeses! Frankly, I don’t understand why more judges didn’t put this in their top 3. I love this cheese. It is everything you want in a washed-rind. A blend of raw goat and cow, this is probably in my top 5 American cheeses of any type. It’s stinky, so it announces its presence right away. It is complex. You can taste butter, tanginess, fruit, grass, and more. It has a great aftertaste. And it is just a perfect ugly/beautiful rustic cheese. Amazing cheese. 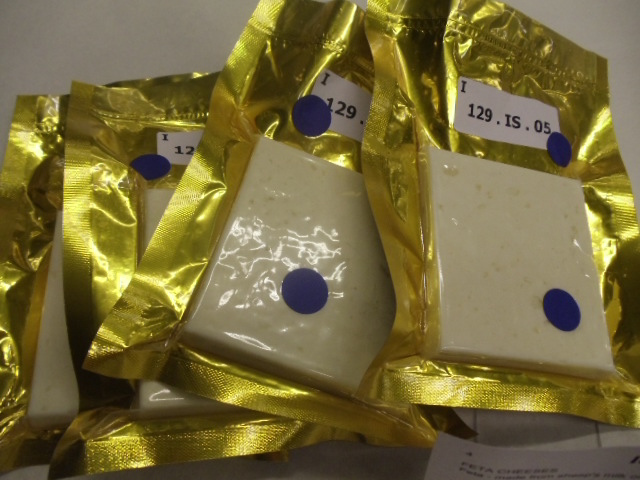 *Unfortunately this cheese is not available right now as the Estrellas are working with the FDA to create a safer environment and procedures for making young, raw milk cheeses. 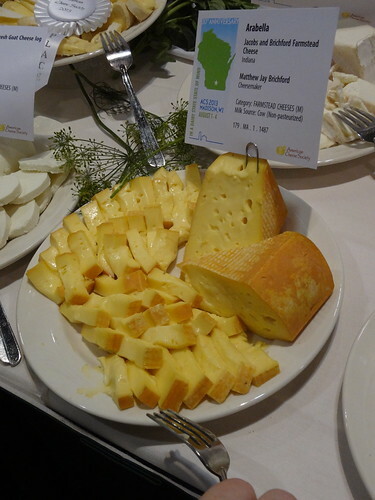 Tami Parr from Pacific Northwest Cheese Project has covered this the best of anyone.